The Muscatine School’s Board of Education approved the hire of the new Muscatine High School Principal at its meeting tonight. 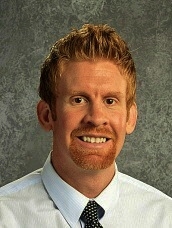 Jared Smith comes to Muscatine from Waterloo East High School as the Lead Assistant Principal. Prior to this he was an assistant middle school principal in Fort Dodge and taught 5th and 6th grade reading, language arts, and math in Chicago Schools and high school math in Sarasota County Schools, Florida. As the Lead Assistant Principal at Waterloo East High, Mr. Smith has worked closely with the International Baccalaureate program and Advanced Programming studies, Career and Technical Education (CTE), the building-wide student intervention program (MTSS), teacher hiring and recruitment, as well as master scheduling and course development. Mr. Smith graduated from the University of Northern Iowa with a bachelor’s degree in elementary/middle level education along with a high school math endorsement. He obtained his Master’s in Educational Leadership from National-Louis University in Tampa, Florida. He is currently seeking his Ph.D. in Educational Leadership from Iowa State University with an expected graduation date of May, 2016. His dissertation focuses on recent high school graduates and their perception of teacher-student interactions. He grew up in the Waterloo area. Mr. Smith will begin this position on July 1, 2016.The Board of Education welcomes Jared Smith to the Muskie Family!